Jellybean Metrotown is conveniently located in the Metrotown mall next to the Skytrain station. There is ample parking, which makes for easy pick-up and drop-off. Our facility is constantly upgrading and integrating custom-made materials and equipment; themes, toys, and play materials rotate monthly to keep the children engaged and to facilitate exploration and learning. 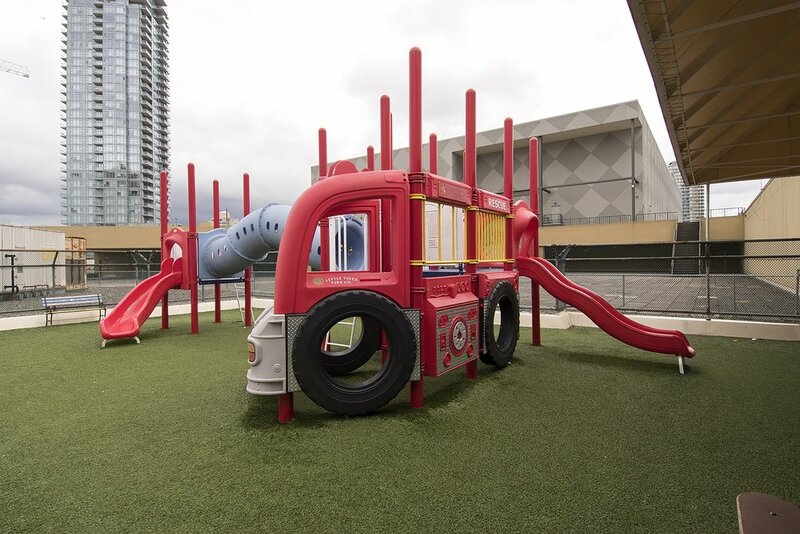 Our new, secured rooftop playground ensures a safe and fun place for children to play and be active.